I’m working on my notes for a session on organizational culture I’ll be facilitating and thought I’d take a moment to share my predominate thought here. 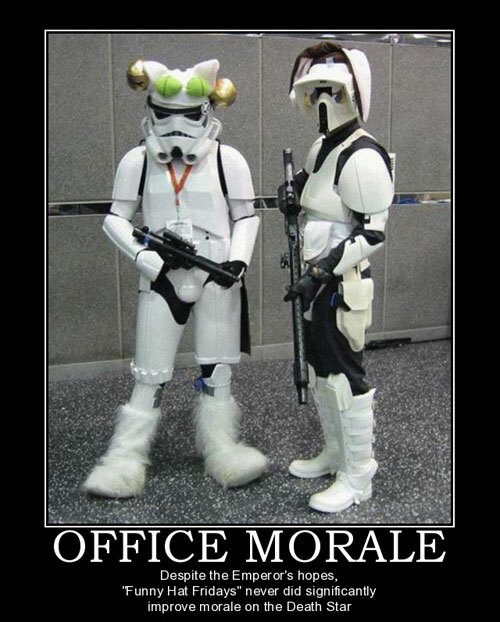 Culture and morale are not the same thing. They are certainly related, but it’s a mistake for leadership to treat the two realities as interchangeable. A company’s culture is characterized by the attitudes, behaviors, world-views, values and perspectives of its employees. It’s the innate self of the organization. The morale of a company reflects the feelings of the employees at a particular time. Generally, an establishment with high employee morale will also have a strong culture. But strong cultures can withstand dips in morale. More negative cultures may have moments of employee satisfaction, but it’s not sustainable. If you’re interested in participating in this conversation join us at the Austin Leading Ladies Power Hour and you can check out more of my thoughts on corporate culture here.